One of our incubator clients, Nervous Dog has many great things on the horizon. Currently, you can indulge in your favorite drink or pastry in West Akron and Stow at their local coffee bars. But don’t worry, soon you may be able to get it anywhere! We happily helped Nervous Dog develop packaging, loyalty cards (both digital and real life) and even created some mock-up K-Cup packs. The Nervous Dog design is simplistic, modern and earthy. It draws inspiration from raw coffee beans and a relaxing coffee shop environment where you can go to keep your day going. This packaging is also award-winning. Array recently entered the design into the AAF Akron Addy Awards. Stay tuned for an upcoming blog post detailing this and other Array winners (the awards ceremony takes place February 20th). 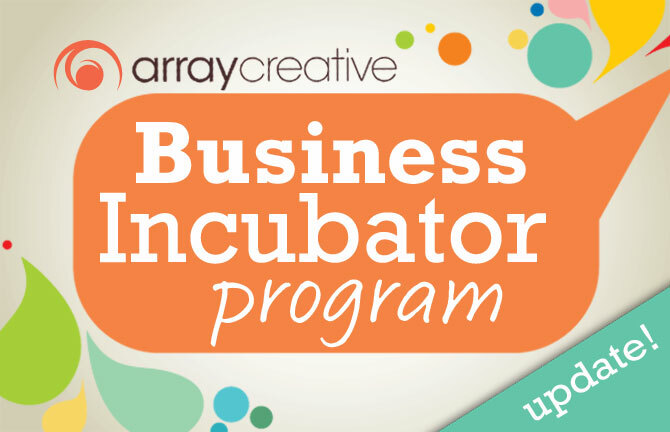 The Nervous Dog became one of Array’s very first Business Incubators for 2014. Array’s Incubator is a service that focuses on developing specific marketing strategies and tactically executing programs for a select few businesses every year. Startups and small businesses alike need qualified marketing services that focus on planning, promotion and sales but often do not have the means to do so. Depending on a business’s scope of marketing requirements, Array can provide both gratis and joint investment options. Both directions are geared to turbo charge and generate success for startups and early stage companies! Not to mention, applicants will gain invaluable coaching, networking connections and the opportunity for additional levels of services for more developed businesses that would like to continue the relationship after the incubation period. With the help of caffeine, Nervous Dog is working toward getting their products into retail soon! Until then, you’ll have to visit one of their two locations and stay a while.